Associate Professor, Department of English, Faculty of Letters, Hosei University, Japan. PhD in Applied Linguistics, School of Linguistics and Applied Language Studies, Victoria University of Wellington, New Zealand. August, 2013. Thesis title: Optimising second language vocabulary learning from flashcards [PDF] (Supervisors: Dr Stuart Webb, Prof. Paul Nation; examiners: Prof. Paul Nation, Prof. Rod Ellis, Prof. Jan Hulstijn). Nakata, T. (2019). 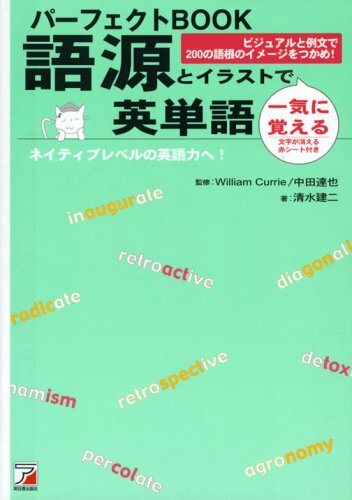 『英単語学習の科学』 Tokyo: 研究社. Kamiya. N., & Nakata, T. (forthcoming). Corrective feedback and the development of L2 vocabulary. In H. Nassaji & E. Kartchava (Eds. ), The Cambridge handbook of corrective feedback in language learning and teaching. Cambridge, UK: Cambridge University Press. Nakata, T. (forthcoming). Learning words through flashcards and wordcards. In S. A. Webb (Ed. ), Routledge handbook of vocabulary studies. New York, NY: Routledge. Quinn, P., & Nakata, T. (2017). The timing of oral corrective feedback. In H. Nassaji & E. Kartchava (Eds. 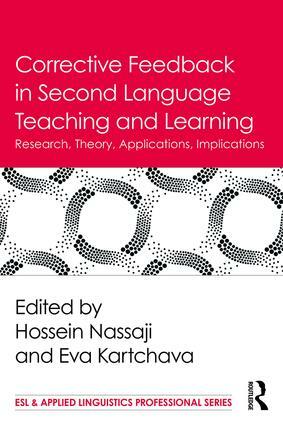 ), Corrective feedback in second language teaching and learning: Research, theory, applications, implications (pp. 35-47). Oxon, UK: Routledge. Nakata, T. (2017). 「第9章 語彙指導」[Chapter 9. Vocabulary instruction.] In W, Suzuki (Ed. 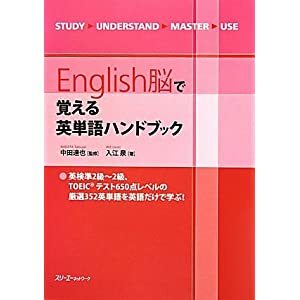 ), 『実践例で学ぶ第二言語習得研究に基づく英語指導[Teaching English from a second language acquisition perspective]』 (pp. 124-140) Tokyo: Taishukan-shoten. Nakata, T. (2017). 「第2章 単語・語彙の獲得」[Chapter 2. Acquisition of words and vocabulary] In T, Nishihara (Ed. 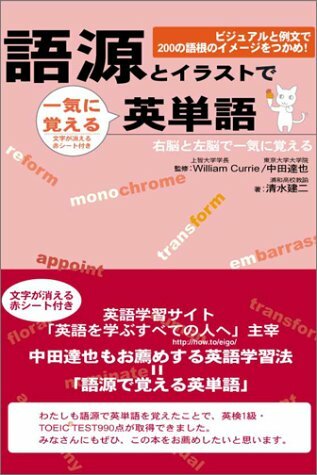 ), 『朝倉日英対照言語学シリーズ　発展編 2 心理言語学[Psycholinguistics]』 (pp. 41-71) Tokyo: Asakura-shoten. Nakata, T., & Webb, S. A. (2016). Vocabulary learning exercises: Evaluating a selection of exercises commonly featured in language learning materials. In B. Tomlinson (Ed. 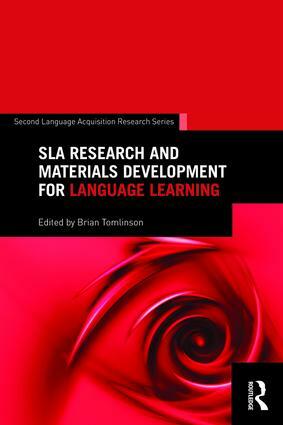 ), SLA research and materials development for language learning (pp. 123-138). Oxon, UK: Routledge. Nakata, T. (2012). 「相関分析入門（2）―関係や結果を予測するには」[Regression analysis]. In O. Takeuchi & A. Mizumoto (Eds. ), 『外国語教育研究ハンドブックー研究手法のより良い理解のためにー 』 [A handbook of foreign language education and research] (pp. 132-146). Tokyo: Shohakusha. Nakata, T. (2004). English word lists for Japanese learners: JACET 8000 and SVL 12000 (in Japanese). In JACET Basic Words Revision Committee (Ed. ), How to make the best of JACET 8000: For educational and research application (pp. 58-59). Tokyo: The Japan Association of College English Teachers. Nakata, T. (2009).The effects of positive evidence and metalinguistic information on L2 lexico-semantic development. JACET Journal, 49, 1-13. Nakata, T. (2007). Learning formulaic sequences with the Low-First Spaced Learning Method (in Japanese). Language and Information Sciences (University of Tokyo), 5, 165-180. Nakata, T. (2019). 復習間隔を少しずつ広げていくことは長期的な記憶保持を促進するか？　先行研究の批判的検証 『外国語教育研究』（関西大学外国語学部紀要）19. 35-54. Nakata, T. (2016). 語彙習得研究の知見を元に日々の語彙テストを最大限に活用する. 『英語教育』65(3). 19-21. Nakata, T. (2009). Development and examination of a test of English word meanings for Japanese learners: Scoring based on correctness and confidence level (in Japanese). STEP Bulletin (Society for Testing English Proficiency). 21, 78-95. Nakata, T. (2007). English collocation learning through meaning-focused and form-focused activities: Interactions of activity types and L1-L2 congruence. Proceedings of the 11th Conference of Pan-Pacific Association of Applied Linguistics. 154-168. Nakata, T. (2006). English vocabulary learning with or without computers: A test of the effectiveness of the Low-First spaced learning method (in Japanese). Proceedings of the 46th National Conference of the Japan Association for Language Education and Technology, 195-204. Nakata, T. (2003). A case study of Spanish teaching at Washington and Lee University in the U.S. and Rikkyo university in Japan and its implications on Japan’s English education. The Rikkyo Review (Rikkyo University), 63, 181-211. Yamauchi, Y., Nakata, T., Miyao, H., Tomono, K., Matsumoto, M., & Fujita, H. (2006). ICTキュービック[ICT for Teacher Training: A web-based training system for high school English teachers]. Ministry of Education, Culture, Sports, Science and Technology. Available online at <http://www.nicer.go.jp/ict3/>. Yamauchi, Y., Nakata, T., Miyao, H., Ohta, H., Sato, S., Tomono, K., Inoue, Y., & Oguchi, T. (2004). e授業Web研修システム [E-Classes: A web-based training system for high school English teachers]. Ministry of Education, Culture, Sports, Science and Technology. Available online at <http://www.nicer.go.jp/eltt/english/juniorhigh/> and <http://www.nicer.go.jp/eltt/english/high/>. Nakata, T. & Suzuki, Y. (2018). Effects of blocking and interleaving on second language grammar learning. Asia TEFL 2018. Nakata, T., & Elgort, I. (2018). Effects of spacing on contextual vocabulary learning. Japan Second Language Acquisition Research Forum 2nd Meeting. Nakata, T. (2018). How temporal spacing facilitates second language vocabulary learning: Some empirical evidence and directions for future research. 外国語教育メディア学会メソドロジー研究部会2018年度第1回研究会. Nakata, T. & Suzuki, Y. (2017). Does spacing reduce the interference effect? Effects of massing and spacing on the learning of semantically related and unrelated words. The 27th Annual Conference of the European Second Language Association (EuroSLA), Reading, UK. Nakata, T. & Suzuki, Y. (2017). The effects of interleaving on second language grammar learning. Japan Second Language Acquisition Research Forum 1st Meeting. Nakata, T. (2016). Effects of within-session repeated retrieval on second language vocabulary learning. Vocab@Tokyo Conference 2016. Nakata, T & Mizumoto, A. (2016). 「文献ソフトMendeleyとZoteroの紹介」外国語教育メディア学会メソドロジー研究部会2016年度第1回研究会. Nakata, T. (2015a). Does studying vocabulary in smaller sets increase learning? Effects of whole and part learning on second language vocabulary acquisition. The 25th Annual Conference of the European Second Language Association (EuroSLA), Aix-en-Provence, France. Nakata, T. (2013). Does gradually increasing spacing increase second language vocabulary learning? Vocab@Vic 2013, Wellington, New Zealand. Nakata, T. (2011a). The effects of block size on L2 vocabulary learning. 1st Auckland Postgraduate Conference on Linguistics and Applied Linguistics, Auckland, New Zealand. Nakata, T. (2011b). Effects of expanding and equal spacing on second language vocabulary learning. Seminar presented in the School of Linguistics and Applied Language Studies Research Seminar Series, Victoria University of Wellington, New Zealand. Nakata, T. (2006). English collocation learning through meaning-focused and form-focused activities: Interactions of activity types and L1-L2 congruence. 11th Pan-Pacific Association of Applied Linguistics Conference, Chuncheon, South Korea. Victoria Doctoral Completion Award (NZ$5,000), from Victoria University of Wellington, May, 2013. EuroSLA Doctoral Award, from European Second Language Association, September, 2012. EUROCALL Research Award, from European Association for Computer-Assisted Language Learning, March, 2007. Grant-in-Aid for Young Scientists #19K13306 科学研究費若手研究, 4,160,000 yen, from Japan Society for the Promotion of Science. Apr. 2019 – Mar. 2022. Kansai University Fund for Supporting Young Scholars, 1,680,000 yen, from Kansai University, Apr. 2018 – Mar. 2019 (with Scott Aubrey and Kazuya Saito). Grant-in-Aid for Young Scientists (A) #16H05943 科学研究費若手研究(A), 6,500,000 yen, from Japan Society for the Promotion of Science. Apr. 2016 – Mar. 2019. Grant-in-Aid for Research Activity Start-up (#15H06746) 科学研究費研究支援スタートアップ, 1,430,000 yen, from Japan Society for the Promotion of Science. Oct. 2015 – Mar. 2016. Faculty Research Grant, NZ$3,007.94, from Victoria University of Wellington, May 2012 – Sep. 2012. Faculty Research Grant, NZ$750.00, from Victoria University of Wellington, Jun. 2011 – Sep. 2011. Faculty Research Grant (conference grant), NZ$242.09, from Victoria University of Wellington, Mar. 2011. 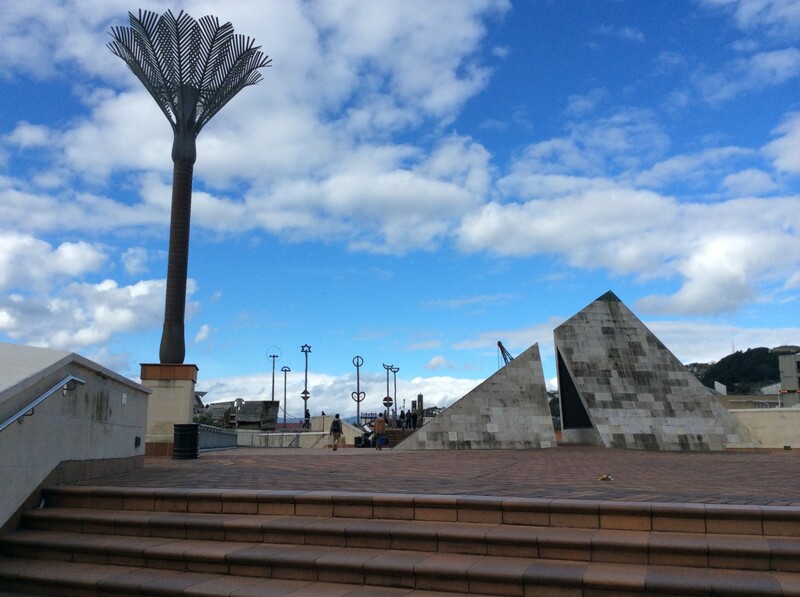 Faculty Research Grant, NZ$1,999.97, from Victoria University of Wellington, Jun. 2010 – Apr. 2011. Doctoral Research Grant, 150,000 yen, from The University of Tokyo, Aug. – Oct. 2009. Doctoral Research Grant, 300,000 yen, from The University of Tokyo, Oct. 2008 – Mar. 2009. The 21st Eiken Research Grant, 290,000 yen, from Society for Testing English Proficiency, Jul. 2008. Student Exchange Support Program (Long-Term Study Abroad) Scholarship, Full tuition + 119,000 yen per month, from Japan Student Services Organization, Dec. 2009 – Nov. 2010. (Full tuition + 110,000 yen per month from April, 2010). Victoria PhD Scholarship, from Victoria University of Wellington, Full tuition + NZ$1,750 per month, Dec. 2010 – May 2013. Part-time Instructor of English, Faculty of Human Studies, Musashino University, Japan. Apr. 2005 – Aug. 2009. Part-time Instructor of English, Center for General Curriculum Development, Rikkyo University, Japan. Sep. 2007 – Aug. 2009. Teaching Assistant. “Teaching and Learning Vocabulary (LALS 522)” School of Linguistics & Applied Language Studies, Victoria University of Wellington. May – Jun, 2010. Research Assistant. School of Linguistics & Applied Language Studies, Victoria University of Wellington. April – December, 2012. Tutor (NZAID), School of Linguistics & Applied Language Studies, Victoria University of Wellington. October – December, 2013. Tutor, Japanese Programme, School of Languages and Cultures, Victoria University of Wellington. March, 2014 – June, 2014. Part-time Instructor of English, Center for General Curriculum Development, Rikkyo University, Japan. Sep. 2014 – March, 2015. Assistant Professor, Faculty of Foreign Language Studies, Kansai University. April 2015 – March 2016. Associate Professor, Faculty of Foreign Language Studies, Kansai University. April 2016 – March 2019. Associate Professor, Department of English, Faculty of Letters, Hosei University. April 2019 – Present. Guest Editor, Modern Language Journal (Vol. 103, Issue 2), Wiley-Blackwell, 2019. External examiner for PhD dissertations. University of Queensland, Australia, 2017. Scientific committee member, Vocab@Tokyo, 2016. Studies in Second Language Acquisition, Cambridge University Press, 2016, 2018. Modern Language Journal, Wiley-Blackwell, 2016, 2018. Applied Psycholinguistics, Cambridge University Press, 2018. Applied Linguistics, Oxford University Press, 2016. Language Teaching Research, Sage Press, 2015 – 2016, 2018, 2019. Reading in a Foreign Language, National Foreign Language Resource Center and The University of Hawai’i, 2016-2017. Language Learning & Technology, The University of Hawai’i and Michigan State University, 2011 – 2013. System: An International Journal of Educational Technology and Applied Linguistics, Elsevier, 2013, 2015, 2017. Computer Assisted Language Learning, Routledge, 2011. SAGE Open, SAGE Publications, 2015. The Language Learning Journal, Routledge, 2013. Encyclopedia of Applied Linguistics. C. Chappelle (Ed.) Oxford, UK; Wiley-Blackwell, 2010. Vocabulary Learning and Instruction., JALT Vocabulary SIG, 2015. JALT CALL Journal, JALT CALL SIG, 2016-2017. Vocabulary Education and Research Bulletin (VERB), JALT Vocabulary SIG, 2014-2015. Kansai University Forum for Foreign Language Education (関西大学外国語教育フォーラム), Kansai University, 2015. American Association of Applied Linguistics Conference, 2018.
International Symposium on Mixed and Augmented Reality, 2018. Vocab@Vic Conference, Victoria University of Wellington, 2013. 言語科学会年次国際大会(The Japanese Society for Language Sciences Annual International Conference), 2017. Material developer for 「NHK テレビ新3か月トピック英会話：英単語ネットワーク～めざせ10,000語！～《 broadcast by NHK (Japan Broadcasting Corporation). July – September, 2007 and April – June, 2008 . Material developer for 「NHK ニュースで英会話 オンライン」 broadcast by NHK (Japan Broadcasting Corporation). January – November, 2009 + April, 2013 – Present. Consultant for みんなのDSゼミナールカンペキ英単語力 (Master English vocabulary: an educational game for Nintendo DS). Tokyo: TDK Core.. Consultant for 暗記君 (Potable Tutor: a mobile learning tool). Nagoya: Makitech. Nakata. T. & Tulloch. R. ミミタン TOEIC L&R TESTの必修単語がたった１往復の会話で身につく本. Tokyo: 学研プラス. Tsuchiya, T., Nakata, T. Nakanishi, N., Nishina, Y., Nakagawa, Y., & Yasukochi, T. (2014). 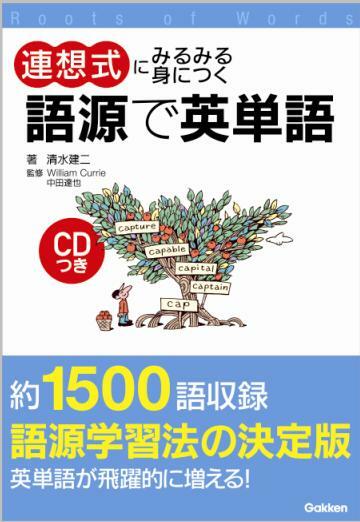 CD付はじめてでも500点突破!! TOEIC(R) TEST即効15日計画 [15-day program for the TOEIC(R) Test]. Tokyo: 三修社[Sanshusha]. Irie, I., & Nakata, T. (2011). English脳で覚える英単語ハンドブック[English brain vocabulary builder]. Tokyo: スリーエーネットワーク[3A Network]. Shimizu, K., Currie, W., & Nakata, T. (2009). イラストで記憶に残る 語源ビジュアル英単語[Building English vocabulary using word parts and visuals]. Tokyo: Gakken Publishing . Mark D. Stafford, Nakata, T, & Mizumoto, A. (2009). 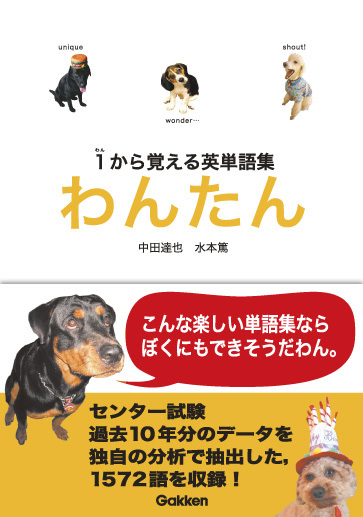 Mark your goal: 語彙と文法で攻略するTOEIC(R) Test [Mark your goal: Vocabulary and grammar tactics for the TOEIC Test]. Tokyo: Kinseido Publishing . Shimizu, K., Currie, W., & Nakata, T. (2008). パーフェクトBOOK 語源とイラストで一気に覚える英単語 [Building English vocabulary using word parts: Perfect]. Tokyo: Asuka Publishing. Shimizu, K., Currie, W., & Nakata, T. (2007). 語源で英単語　連想式にみるみる身につく[Building English vocabulary using word parts and associations]. Tokyo: Gakken Publishing. Matsumoto, S., Nakata, T., Kosaka, T., & Kishi, B. (2007). 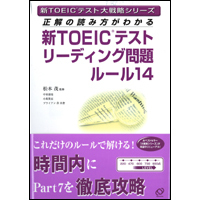 新TOEICテスト大戦略シリーズ:新TOEICテストリーディング問題ルール14 [Developing skills for the New TOEIC Test: Reading]. Tokyo: Obunsha Publishing. Matsumoto, S., Asaoka, C., Irinoda, K., Nakata, T., Nakagami, K., & Kosaka, T. (2007a). 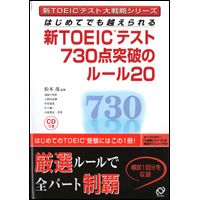 新TOEICテスト大戦略シリーズ:新TOEICテスト730点突破のルール20 [Developing skills for the New TOEIC Test: Intermediate]. Tokyo: Obunsha Publishing. Matsumoto, S., Asaoka, C., Irinoda, K., Nakata, T., Nakagami, K., & Kosaka, T. (2007b). 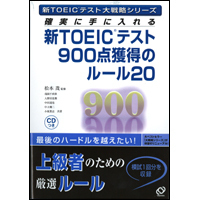 新TOEICテスト大戦略シリーズ:新TOEICテスト900点突破のルール20 [Developing skills for the New TOEIC Test: Advanced]. Tokyo: Obunsha Publishing. Mizumoto, A., Corti, M. E., & Nakata, T. (2006). 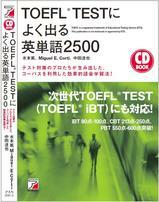 TOEFL TESTによく出る英単語2500 [2500 words you need to know for the TOEFL Test]. Tokyo: Asuka Publishing. Nakata, T., & Mizumoto, A. (2005). わんたん:1から覚える英単語集 [Wantan: English basic vocabulary builder]. Tokyo: Gakken Publishing. Shimizu, K., Currie, W., & Nakata, T. (2004). HYPER語源とイラストで一気に覚える英単語 [Building English vocabulary using word parts: Advanced]. Tokyo: Asuka Publishing. Shimizu, K., Currie, W., & Nakata, T. (2003). 語源とイラストで一気に覚える英単語 [Building English vocabulary using word parts]. Tokyo: Asuka Publishing.